Choose from 85 hotels and guest houses in Wales. Shown below a just a selection of the hotels available. To search within an area please use the menu on the right. Amid 27 acres of parkland, surrounded by the River Irfon, Caer Beris Manor Hotel is a beautiful country retreat in Builth Wells, near the A483, on the Breacon Beacons. In the heart of the Welsh Countryside, Caer Beris Manor is perfectly placed for a relaxing weekend break, with tranquil surroundings and fine dining. And yet all less than 3 hours from Manchester, Birmingham and London. Returning guests say that as you turn in through the gates and start up the long drive, the cares of the world seem to disappear. Set in a commanding position above the parkland as it sweeps down to the river, Caer Beris Manor dominates the landscape. After a warm welcome, relax in one of the comfortably furnished lounges, complete with roaring log fires alight throughout the winter. Set within a traditional 18th century timbered building in the picturesque Ceiriog Valley in North Wales, this beautiful country hotel and inn is the ideal destination for a relaxing break. Offering peace and tranquillity to those who enjoy the countryside, The Golden Pheasant is just 20 minutes' drive from the small town of Llangollen, or 10 minutes going over the picturesque valley. Set on the River Dee, Llangollen is the perfect starting point for canal boat trips through the beautiful countryside and over the aqueduct to the historic town of Chirk, which boasts a Medieval castle. In the evenings you will have the choice of 2 restaurants and 2 bars, one with slate floor and open range fire in which you can relax and enjoy a quiet drink before dinner, the other in the comfortable lounge with views of the Ceiriog Valley, garden and patios. This homely hotel rests in the North Coast of Anglesey in the old fishing village of Cemaes; ideal for beaches, water sports, fishing, walking and birdwatching. Golfing is available 4 miles away. The Woburn Hill Hotel is a small friendly, family-run establishment offering bed and breakfast, a licensed bar, grill menu, a dry lounge, beer garden and luxury en suite rooms. There is the option of your choice from the grill menu and a daily specials board to suit all palates. We also cater for special diets. The hotel uses as much local shellfish, fish, meats and farm produce as possible, subject to availability. We also have our own car park, with space for boats, jet skis, canoes, cyles etc. 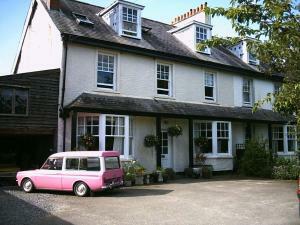 Cerdyn Villa offers friendly, relaxing, quality guest-house accommodation with a real home-from-home feel. Rooms have excellent views of the Irfon Valley. Each room has an en suite shower, a DVD player and a mini fridge for fresh milk. Breakfast is hearty and homemade, with fresh eggs and vegetarian options. Cerdyn Villa has a cosy guest lounge and a welcoming garden. Originally a 17th century water-driven corn mill, the Mill Glynhir has now been tastefully converted into a 10-room country hotel, surrounded by the natural beauty of the Welsh countryside. The Mill is perched on the side of a beautiful valley and its acres of informal, landscaped grounds flow down to the banks of the River Loughor. The spectacular scenery of the Brecon Beacons National Park forms a stunning backdrop to this peaceful, tranquil idyll. The Mill has a superb location for exploring the Brecon Beacons and all the delights of mid and west Wales. 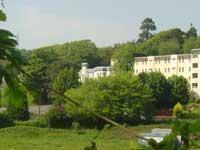 The convenient location makes the hotel a great base for golfers, walkers and mountain bikers. The comfortable accommodation and the quiet naturally beautiful setting mean the hotel is great for a restful, restorative break or a relaxing, romantic getaway. 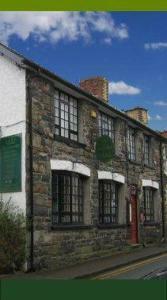 This licensed B&B on the edge of Llanwrtyd Wells has light and airy rooms with large en suite bathrooms. New Hall Guesthouse is a converted church meeting hall. Breakfasts can be large and traditional, vegetarian, continental or a mix of all three. Ingredients are locally sourced and organic wherever possible. Evening meals are available by arrangement. There is a ground-floor suite suitable for those with mobility difficulties. In a wonderful, tranquil location surrounded by beautiful Welsh countryside, this period Edwardian country house offers stunning views, great food and comfortable, peaceful accommodation for a restful, relaxing, restorative break. With just 8 rooms, you can be assured of attentive, personal service and a warm welcome from Emma and Roger, who are not just the owners, but also the operators of this charming country house The impressive restaurant continues to collect awards, the latest being a second AA Rosette and the UK Sustain Food Challenge which is awarded in recognition of our commitment to sourcing local produce, using organic ingredients, reducing food miles, caring for the environment and ensuring traceability of food. Just 30 minutes from the Brecon Beacons, the peaceful natural beauty of the hotel's surroundings and the quiet, comfortable accommodation make the hotel a tranquil retreat for those who want to unwind from the stresses of everyday life. Situated in the Pembrokeshire National Park at the foot of the Preselis hills in the rural village of Felindre Farchog, this friendly inn offers good quality food and accommodation. Salutation Inn has a car park that is large enough to cope with all guests. It features a lounge bar serving lunch and dinner daily, a local bar with pool table, and the newly built Denley's restaurant for fine dining (currently only open at weekends). The large garden at the rear borders the River Nevern that is teeming with salmon and brown trout during much of the summer, much of which finds its way to the inn's kitchen. If you enjoy the countryside, walking, fishing, bird watching or golfing, then you will find that this is a great place to visit. A warm welcome, good food, well stocked bar and a wide selection of wines awaits you. This hotel is high on the hills of the Berwyn Mountain range, with fantastic views across mountains, forests and the beautiful Lake Vyrnwy reservoir. On the edge of Snowdonia, the Lake Vyrnwy Hotel & Spa is a calm environment. Activities and sightseeing are available, or you can just relax with a good book, glass of wine and an unforgettable view. The cuisine at the Lake Vyrnwy Hotel focuses on fresh, ingredients - around 80% comes from the British Isles, and most of that is from Wales and the Borders. There is an AA Rosette-winning restaurant with a smart-casual dress code, as well as a more informal Tavern Bar/Restaurant. The top-class spa offers treatments, a fitness centre and a fabulous view over the lake. For over 40 years our hotel has been renowned for attention to detail and personal care, and we ensure a warm welcome and a memorable stay. 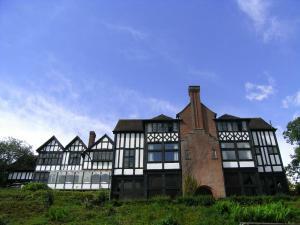 Our historic hotel is set in 5 acres of secluded countryside with magnificent views over the Vale of Llangollen. Whether visiting on business or leisure, we endeavour to exceed your expectations and pride ourselves on our service. Great savings on 2-night stays are now available. Many rooms have splendid views of the Welsh countryside. Famous visitors to the hotel include Luciano Pavarotti and Harrison Ford. Take in the panoramic views of the Vale of Llangollen while you enjoy your meal in our award-winning Cedar Tree Restaurant. All our rooms are non-smoking. 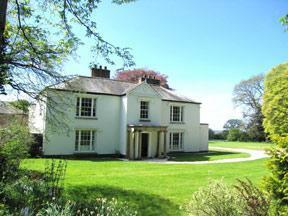 With a beautiful, peaceful location, in fine grounds on the banks of the Gwendraeth River, this Victorian country mansion offers individually designed bedrooms, free parking and fine dining. Just off the A484 and with easy access to the M4 motorway and the main road links to Pembrokeshire and West Wales, the Gwenllian Court Hotel is a great base from which to explore South Wales. All of the comfortable en suite rooms have TVs, hairdryers, telephones and tea/coffee. Fine dining is available in the Old Chapel Restaurant. Simpler, home-cooked bar meals can be served in the Gwendraeth Bar or the Felindre Conservatory. Only the finest quality, locally sourced ingredients are used. The Gwenllian Court Hotel also caters for weddings throughout the year. Castell Malgwyn Country House Hotel is one of Wales' best kept secrets. Relaxed atmosphere. Enjoy an outstanding meal in our lovely restaurant accompanied by a fine wine. Try flyfishing. The Castell Malgwyn is an extremely homely Georgian country house with river frontage and spacious gardens. There are many walks that provide endless hours of rambling through wild, tranquil woods, alongside river banks, the nearby coastal path or great beaches. Falconry available at the hotel (needs to be booked in advance). All bedrooms have en-suite facilities and are non-smoking, there is a Lounge and Bar Lounge for residents, as well as a 40 seater restaurant. Newly decorated Function Room for up to 200 people. Licensed for Civil Weddings. Set amid 50 acres of rhododendron-lined pathways and riverside walks, this sophisticated 19th century retreat offers unhurried elegance in the heart of the idyllic Welsh countryside. An architecturally intriguing country house, here you can relax amid beautiful lounges and thoughtfully furnished rooms. Throughout the hotel you will be surrounded by fine antiques, paintings and sumptuous furnishings. Take a traditional Welsh tea in the drawing room, beside an inviting log fire; or, in the summer, let it be brought out to the garden, beneath the chestnut tree. Later, enjoy a candlelit meal in the award-winning restaurant, complemented by a wine list to rival any in Wales. To aid your relaxation further, the on site Kingfisher Spa offers a peaceful 15 metre swimming pool, supplemented by a sauna, gym and an outdoor balcony hot-tub. A range of health and beauty treatments allow body and mind to truly unwind. A warm Welsh welcome awaits you at our newly renovated, luxury, family-run Georgian guest house situated near the town centre and local attractions. All 10 rooms are en suite and are individually designed for the most comfortable experience, with quality facilities including LCD TVs and a broadband connection. A traditional welsh breakfast is served in a beautiful conservatory. Nestled within over 650 acres of beautiful Welsh countryside, this modern resort is now firmly established as one of the UK's most desirable spa, golf and leisure destinations. The resort is home to a luxuriously appointed 143-bedroom, 4-star hotel, Wales' largest spa, 2 championship golf courses, unrivalled leisure facilities and 2 restaurants, one of which boasts an AA Rosette. When you are not taking advantage of the resort's superb facilities, you can explore the beautiful city of Cardiff. There is an ever-increasing choice of attractions to visit and the proximity to the coast and mountains means that Cardiff really does have something for everyone. Pentre Mawr is a 5-star country house hotel, set in 200 acres of meadows and woodland in the Vale of Clwyd, an area of outstanding natural beauty. Some of the rooms have a four-poster bed and stunning views over the parkland. All of the rooms are beautifully furnished with elegant decor. In the rural heart of North Wales, this 16th-century elegant hotel is well placed to explore Chester, Llangollen and Snowdonia. 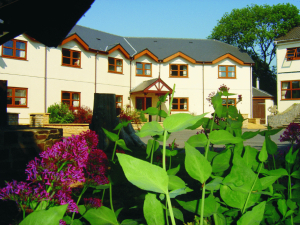 Pentre Mawr boasts a heated swimming pool and relaxing hot tubs. The hidden walled garden is a relaxing space and the pool terrace is the perfect place to soak up the sun. Breakfast is served in the morning room or on the Georgian terrace. There are two sitting rooms with comfortable sofas and historic portraits. Guests may enjoy a drink before dinner in the drawing room. Dinner is served in the formal dining room, awarded an AA food award. Enjoying spectacular panoramic views over the sandy beach and cliffs of Trearddur Bay, this beautiful hotel was recently awarded 'Best Hotel in Anglesey 2008' by the Anglesey Tourism Association. Ideal for business or leisure, Prime Minster Gordon Brown recently visited Trearddur Bay Hotel to take advantage of the extensive conferencing facilities. These include 4 multi-function rooms with a capacity of 16 - 160 people, depending on the room and layout. Furthermore, the hotel is easily accessible by car and only minutes away from Holyrood railway and ferry terminal. 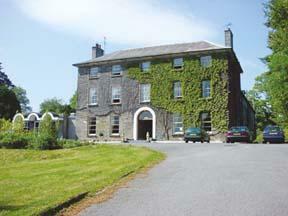 The surroundings provide the idyllic setting for a relaxing break or activity-filled holiday. The Irish Sea offers the perfect backdrop to a range of water-sports, including sailing, diving and fishing. The area also offers cycling, walking, horse-riding, tennis and bird watching. The hotel has special arrangements with several nearby golf courses. In the old town area, just 5 minutes' walk from the River Wye, this 200-year-old Welsh stone building is rich in original character and traditional charm, with wood beams and exposed stonework. In the rural market town of Rhayader, known as the gateway to the Lakeland of Wales, the Horseshoe Guesthouse and Restaurant makes a great base from which to explore the region's magnificent mountains, valleys, woods and lakes. With original 18th-century timbers and a log fire, the lounges are furnished with deep comfortable chairs. The Horseshoe has been recently refurbished and now combines modern comforts and facilities with this lovely old building's historic character. The rooms are decorated in a traditional country style and each room has tea/coffee making facilities, modern central heating and a flat-screen TV. The fully licensed restaurant offers superb homemade food, freshly prepared using locally sourced produce. The wine list offers a selection of wines from around the world to complement your meal. 5 minutes' drive from the National Botanic Garden of Wales, Aberglasney Gardens and Carmarthen, Cothi Bridge is beside the River Cothi and has pretty riverside views. With en suite rooms and plenty of free parking, Cothi Brige has views of the Cothi from the restaurant, bar and breakfast room. Cothi Bridge is only a 10-minute drive along the beautiful Towy Valley from the boutique town of Llandeilo. Skanda Vale Temple is around 25 minutes away. Friendly and family run, the hotel is ideal for walkers, cyclists and fishermen (facilities available). In Llandovery, on the western edge of the Brecon Beacons, amid rolling hills and spectacular scenery, this historic hotel combines traditional charm with modern comforts, including free Wi-Fi. The Castle Hotel is conveniently located next to the A40, in the heart of Carmarthenshire, known as 'The Garden of Wales'. Llandeilo and Builth Wells are only a short drive away. Free on-site parking is available for guests. 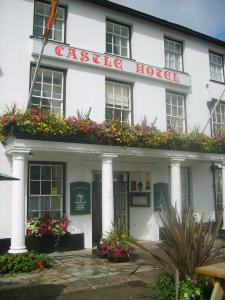 The Castle is a charming traditional town centre hotel with 20 comfortable en suite rooms. The cosy bar features beautifully preserved original features such as real log fires and exposed wooden beams. The bar offers home-cooked meals and Carriages Restaurant offers a superb menu, with delicious roast Sunday lunches from the carvery. All the food is lovingly prepared by the chef/proprietor, using fresh locally sourced produce and served by the friendly team. When the weather is fine, an al fresco lunch can be enjoyed in the courtyard at the front of the hotel. 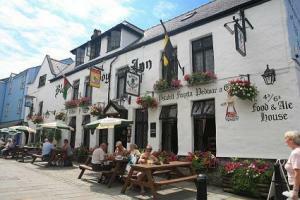 Stradey Park Hotel is a modern and vibrant hotel with a colourful history. We have a banqueting/conference suite, coffee shop, brasserie, extensive bar area and lounge areas. The Stradey Park Hotel is the perfect venue for the long or short stay guest. 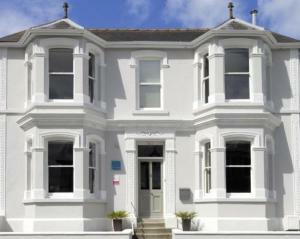 This attractive hotel has been refurbished to the absolute highest standard. The management team have worked hard to make this a first class facility. The Stradey Park Hotel is truly a top first class facility, which will welcome visitors to Llanelli & Wales and let them stay in one of the most beautiful hotels in Wales. The hotel boasts 83 newly refurbished bedrooms, all with en suite facilities. Choose from single, twin, double or family. A team of competent management staff have been highly trained to cater for every need and to ensure that guests have a comfortable and relaxing stay. If you'd prefer the privacy and convenience of your own room to hold a small meeting or catch up with your paper work, we have 3 Business Class rooms with an office annex that has: Desk Telephone Fax Conference table and seating for up to 6 people For the ultimate space to enjoy your business visit, a special occasion, or a well earned break when you deserve to relax in luxury, take a look at our Executive Suite - decorated in classic French style with a luxurious bedroom, lounge, spacious en suite bathroom and private dining room. The Gryphon Brasserie is open every night from 7pm all week. It is a place where hotel guests and outside visitors can sit down and eat in style. With an extensive mouth-watering menu and a chef with a colourful and impressive catering background, customers are almost guaranteed to enjoy a tasty and tantalising meal, and with a terrace that overlooks Llanelli and Carmarthen Bay, these must surely be some of the best seats in town. On Sundays, the restaurant is also for a traditional carvery lunch. There's quite a team behind the Stradey Park's passion for great food, led by Executive Head Chef, Adrian Bartels and Head Chef, Stuart Williams. For the business, a perfect venue for Conferences, Meetings and Exhibitions. With such a great setting and a team that has years of experience of arranging literally hundreds of weddings, the Stradey Park hotel has all of the essential ingredients to arrange a wedding that's perfect down to the finest details, for a magical day that will remain with you forever. 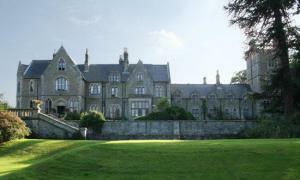 Mellington Hall is a family-run, elegant Gothic hotel, nestling in the heart of the beautiful Mid-Wales countryside. The relaxed and informal atmosphere compliments the hotel's fine interior, stunning location and excellent cuisine. Formally an elegant Victorian mansion, you can expect spacious rooms with period features and panelling, open fires and a beautiful staircase. Our warm atmosphere and welcoming staff will ensure that your visit is very enjoyable. 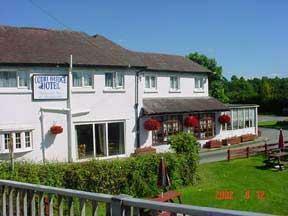 The hotel is 10 miles from Newtown and Welshpool, and 20 miles from Shrewsbury. Offering sophistication and style by the sea, St George's is a contemporary and luxurious hotel that is perfect for exploring Llandudno and the North Wales coast. Close to Llandudno's promenade and pier, the stunning 4-star hotel in the town centre is among the top 3% of hotels in Wales that have been awarded the Gold Award by Visit Wales. 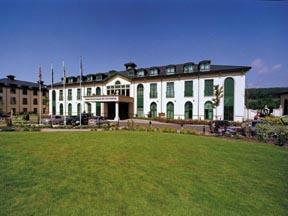 The St George's Hotel combines traditional Victorian elegance, professional service and fine views of Llandudno Bay.